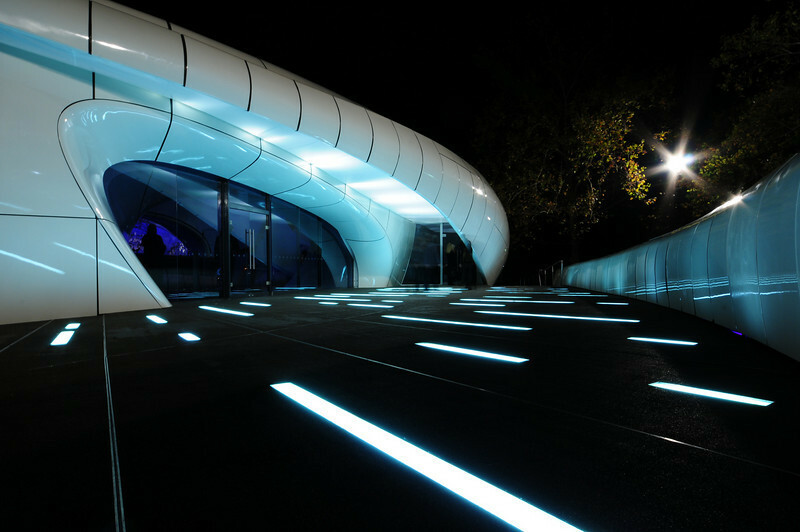 In the fall of 2008 Zaha Hadid's Chanel Mobile Art Pavilion made its way to Central Park, one of the stops on its whirlwind world tour. The curled shiny structure is full of art inspired by Chanel's iconic 2.55 handbag -- pieces like an enormous Chanel handbag spilled over. The work has drawn criticism for its cluelessness, and its place in the Park, which the New York Times calls an "instrument of psychological healing for the weary." Apparently Chanel's little interlocking Cs don't have quite the same calming effect, even when they're wrapped up in Hadid's creativity.